This is the front trac bar relocating kit out of the RockJock JK off road suspension system. 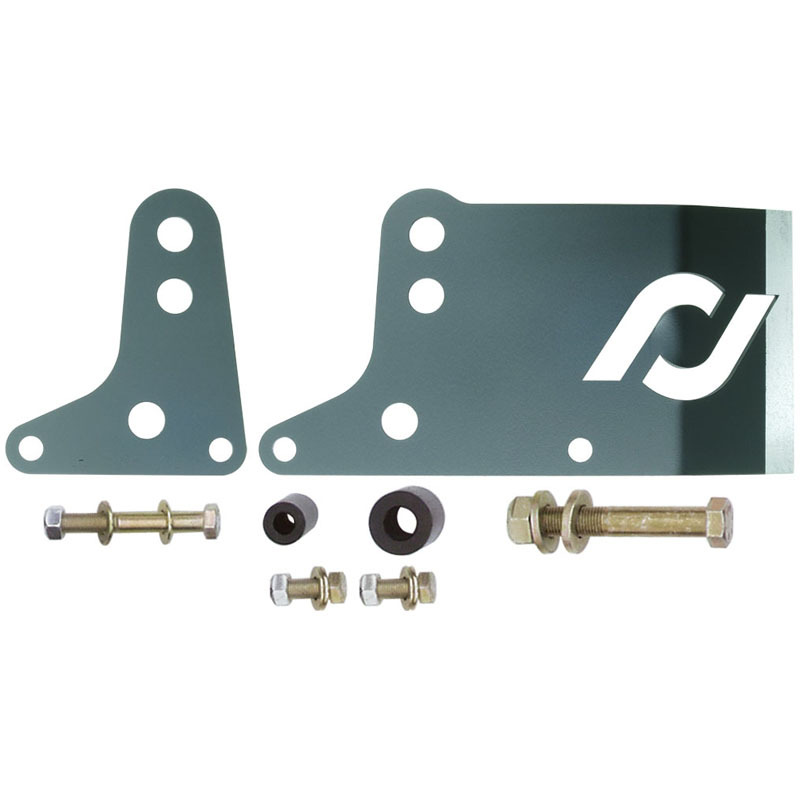 This bracket relocates the trac bar mounting point Upward allowing the trac bar to work with the new lift amount, as well as strengthening the stock track bar bracket at the same time. Additionally, this bracket features one hole for vehicles with standard drag links and one for vehicles with flipped drag links. Kit includes inner and outer bracket and all hardware. Minor welding is required to affix this bracket to the stock axle housing! Detailed instructions included.